The IF30 is a cost-effective, high performance fixed reader that reliably reads and writes UHF RFID tags in "RF noisy" environments. The IF30's receive sensitivity enables large populations of tags to be interrogated at high speeds, which is critical to many use cases involving dock doors, portals and conveyors. In addition to reading tags at distances over 15 feet (4.6 meters), the IF30 can filter tag data to prevent sending redundant information to the host system. With best in class Dense Reader Mode performance, the IF30 fixed reader allows users to grow their RFID operations to include multiple dock doors in close proximity, thus enabling accurate, automated receiving and shipment verification. This drives more effective put away processes. Increased receive sensitivity allows the IF30 to interrogate weaker/unreadable tags that often lead to expensive exception handling processes and slower supply chain throughput. 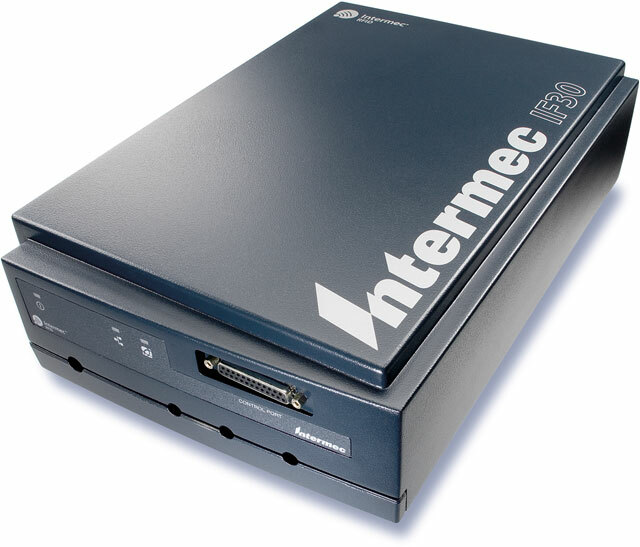 The Intermec IF30A12300000014 is also known as Intermec Technologies	INT-IF30A01	.